“On 3/22/17, at 10:39 PM, officers were sent to an address on Curry Parkway for a person calling our dispatch center expressing paranoid thoughts and having difficulty communicating his address. Officers were able to locate the individual, take him into protective custody and transport him to a local hospital to get the medical treatment he needed. Officers remained with the individual until he was admitted. Later that evening, the subject fled the hospital because of his delusional thoughts. Officers were called to assist locating him. During his escape, he jumped off two elevated platforms, one approximately 25 feet high and the second about 15-20 feet high. He was last seen screaming as he ran from the hospital. In addition to his mental health concerns, there were now also concerns about his physical health. Several officers were dispatched to the area to look for the subject and help establish a perimeter that would hopefully contain the person while a K9 team tracked and located him. Officer Disch and K9 Jagger responded to the hospital. Officer Disch retrieved a pillow case the subject had been laying on to use as a scent article. The scent article provides Jagger with the scent of the individual he would be tracking. Our K9s are trained to scent discriminate track (stay true to the scent they are given to track) and any object that contains that person’s scent can be used. K9 Jagger took the scent and the team began tracking on a 15 foot leash with backup officers with them. Office Disch and Jagger tracked to a tall fence with a small opening under the fence line. Jagger attempted to track under the fence. He could have gone under, but Officer Disch and the backup officers would likely have had some difficulty doing this safely. The team moved around the 10′ fence and re-established the track on the other side of the fence. They continued tracking until Jagger began showing behavior changes (oftentimes when the K9 gets closer to a subject, the handler will see the dogs intensity increase among other changes). The team and backup officers moved around this fence and continued to let Jagger work. He began showing the same changes of behavior Officer Disch had seen earlier. These changes were directed at a shed on the corner of the property. Officer Disch recognized these changes and brought Jagger back to him and the other officers. Officer Disch began giving commands to the shed. After a few commands and calling the individual by name, two hands appeared from inside the shed and were extended out of the window. Shortly after that, the missing at-risk individual was taken into protective custody, transported back to the hospital to evaluate his injuries and make arrangements for temporary placement at a secure medical facility to treat his mental health situation. If you ask Deputy Jason Behm, he’ll tell you without hesitation that Harlow is the perfect partner. 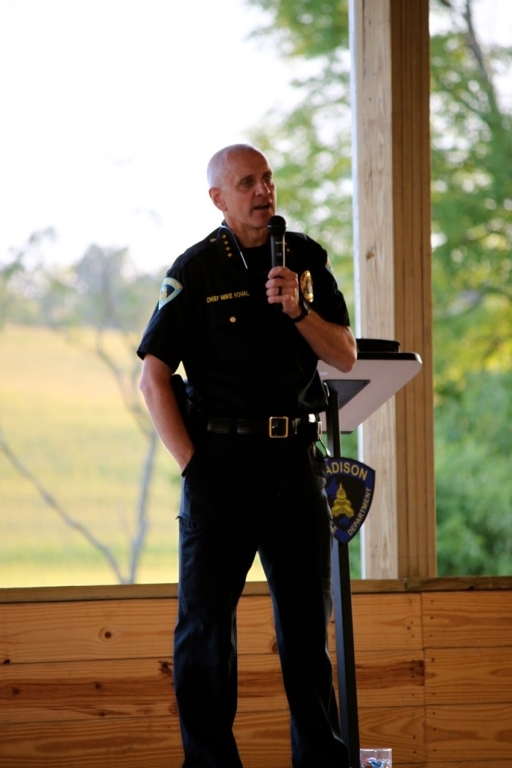 “He’s the ideal blend of personality and – when it comes to work – intensity,” says Behm, a 16-year veteran of the Jefferson County Sheriff’s Office. And at the end of a long shift, Harlow likes a good scratch under his collar as a reward. Harlow is a 5-year-old Belgian Malinois-German Shepherd mix, and he and Behm have been partners for more than three years. Like so many police dogs, Harlow’s contributions to law enforcement have been remarkable. But in late 2016, his career was in danger of an early end. Harlow began experiencing severe lethargy and extreme stiffness in his joints. 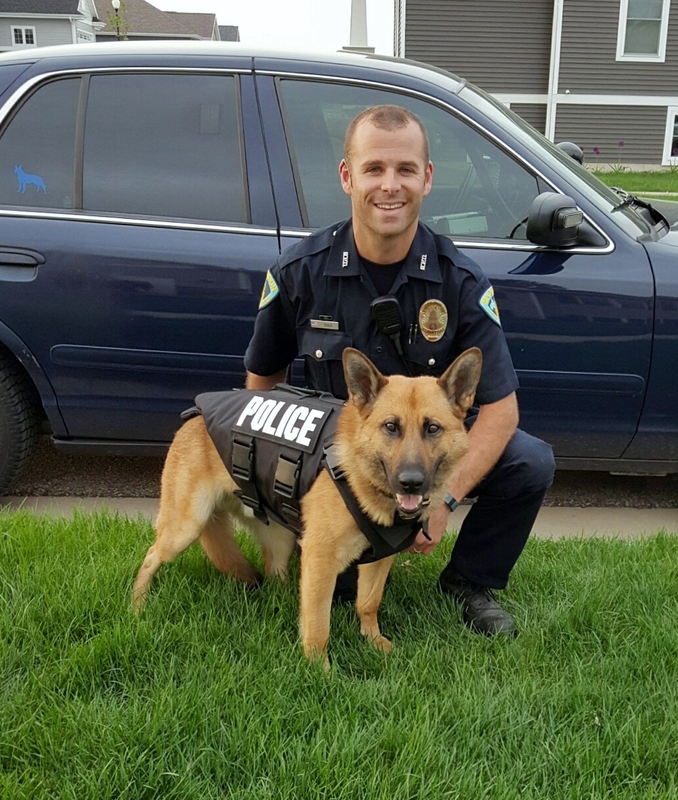 After initial treatments at his local primary care clinic did not resolve Harlow’s health troubles, the K-9 was referred to the Small Animal Internal Medicine Service at UW Veterinary Care (UWVC). 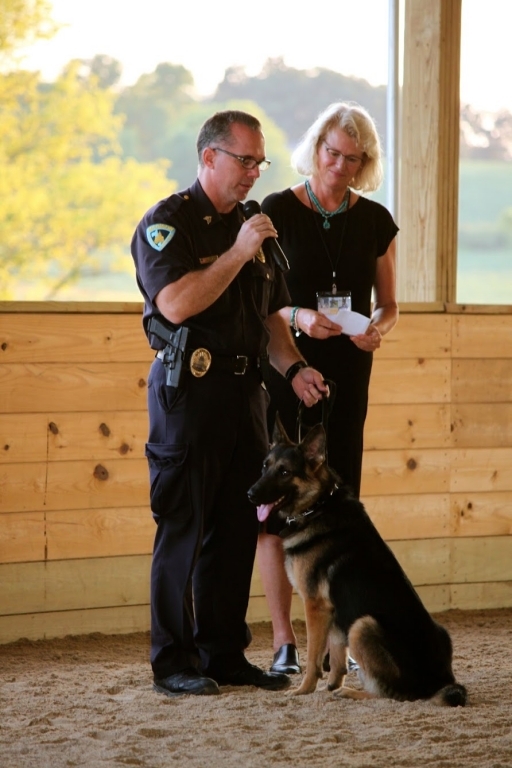 In seeking help for Harlow, the Jefferson County Sheriff’s Office benefited from a new effort at the UW School of Veterinary Medicine (SVM) to make care even more accessible to K-9 units across Wisconsin. On duty or off, Harlow is an affection hound. When he trots into a room he makes the rounds, imploring everyone with his eyes for a scratch or a rub. And if that fails, he uses his muzzle, his tongue, his paws and so on. It’s clear Harlow thrives on interactions with people and he returns the favor by making a difference in peoples’ lives through his work. A prime example: Last year, Behm and Harlow were dispatched to a missing person case, where a dog’s nose becomes invaluable. Harlow performed admirably, leading the search party through a forested county park where the remains of the missing person were recovered. Despite a somber outcome, the bereaved family was so grateful for Harlow’s help finding their loved one that they mailed a thank-you letter to the sheriff’s office shortly after the incident. That Christmas, they sent a donation to the K-9 unit. But uncomfortable and fatigued, Harlow found it became increasingly difficult to perform his duties. At UWVC in Madison – following an ultrasound, X-rays, and a series of blood and fluid tests by the clinical pathology team – clinical instructor Hattie Bortnowski and resident Allison Leuin ­confirmed that Harlow’s symptoms were caused by effusion, or swelling, in multiple joints. Analysis of fluid samples from his joints made them suspect immune-mediated polyarthropathy, a condition in which a dog’s immune system triggers an antibody response that causes arthritis in more than one joint. Fortunately, the treatment they prescribed, a course of a common steroid called prednisone, has worked well to reduce the swelling. UWVC has long provided care and other support for police dogs, but the new statewide K-9 health effort was created after the school looked for ways to do more to serve them and their departments. In late summer 2016, UWVC sent letters out to nearly 130 law enforcement agencies throughout the state to inform them of the new program. Those in Dane County – UWVC’s primary service area – were offered $5,000 in credit for veterinary services at regular rates and a 50 percent discount on any service beyond that for each calendar year. Agencies outside of Dane County were offered a 50 percent discount. UWVC has built the credited services into its budget, and the SVM covers all discounted costs using gift funds. As of February 2017, 45 agencies have taken advantage of the offer by signing agreements with UWVC. 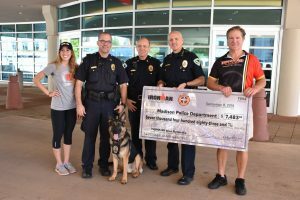 For the Madison Police Department (MPD), which raises funds for its eight-dog unit through a non-profit organization called Capital K9s, the discounted services go a long way. 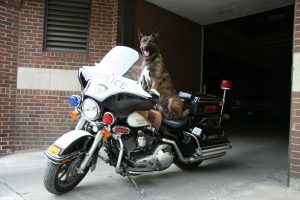 In addition to veterinary medical care and training for their dogs, the unit must fundraise for specially outfitted squad cars, computers, and other capital expenses. Any money they can save at the animal hospital can be redirected for these needs. 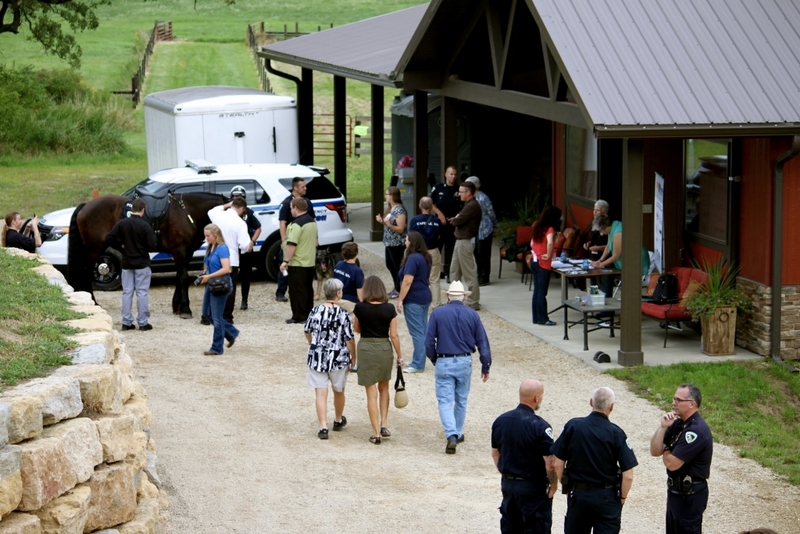 Without the generosity of the SVM and other local veterinary clinics and the vendors who have donated food, the MPD K-9 Unit would not exist, Felt says. But the true beneficiaries are the communities the dogs serve. 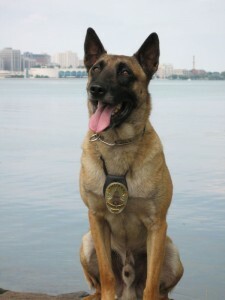 Police K-9s take part in a wide range of police duties. They are perhaps best known for tracking and locating armed suspects and missing persons, but they also prevent potential confrontations with suspects by barking warnings to officers or simply by encouraging a surrender with their presence. 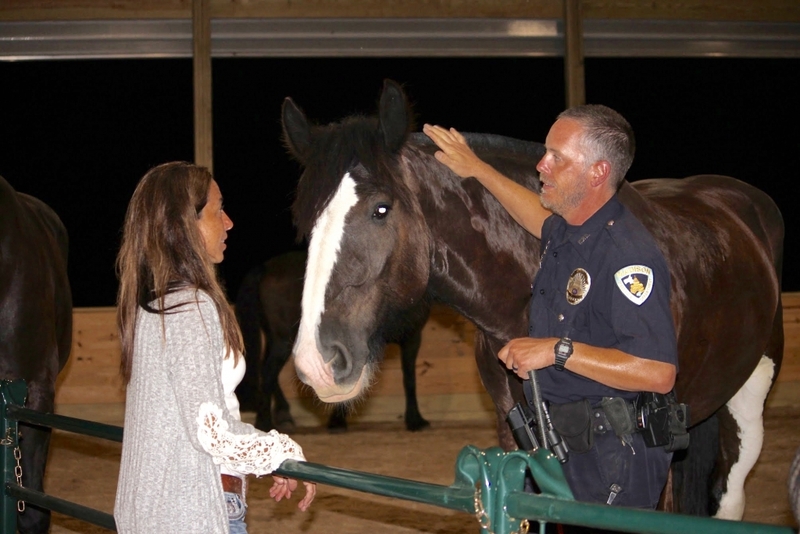 Police dogs also help law enforcement agencies improve their community engagement. Felt and the MPD K-9 Unit give more than 100 public demonstrations each year and the dogs help foster trust and dispel skepticism with their friendly nuzzles and palm licks. A large portion of the work done by K-9s is conducted behind the scenes. For example, prior to major events like concerts, athletic competitions, and visits from dignitaries, specially trained police dogs and their handlers sweep through venues, looking for bombs and other dangers. 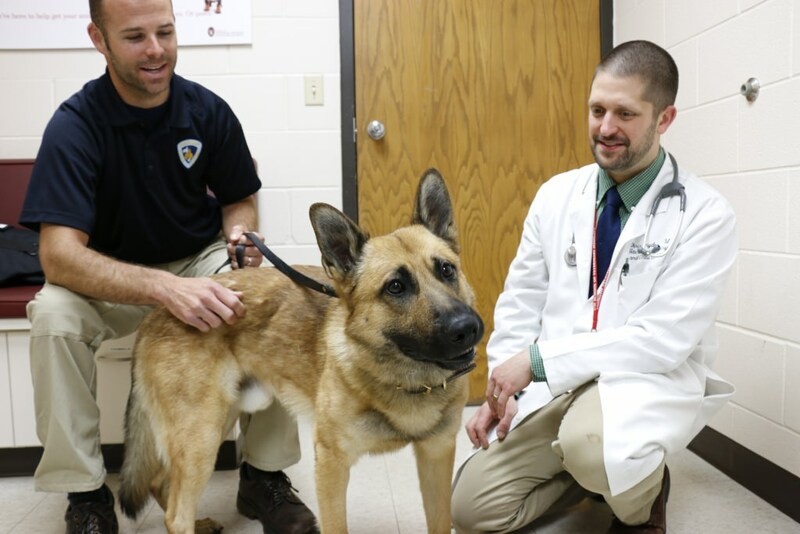 The UW School of Veterinary Medicine (SVM) has found other ways to support local K-9 units beyond credited and discounted services at UW Veterinary Care. 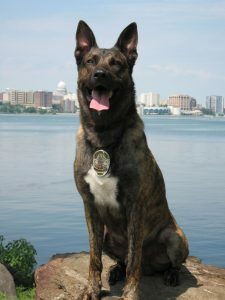 To help protect police dogs from stabbings and gunshot wounds – which comes with the territory in their line of duty – students, staff, faculty and friends of the SVM have pooled together donations to fund protective vests for five police dogs from the Adams County Sheriff’s Office, Madison Police Department and the University of Wisconsin–Madison Police Department. Many law enforcement agencies do not have the additional funds necessary to purchase canine body armor. Other injuries are inevitable in a line of work as dangerous as law enforcement, and knowing how to perform basic first aid on a dog in the field could be a critical, K-9- life-saving skill for police officers and emergency medical technicians. So in February 2017, Jonathan Bach, clinical associate professor of emergency and critical care at the SVM, also volunteered his time to demonstrate basic first aid and triage techniques to the Dane County Sheriff’s Department after they reached out to him. He walked deputies through the fundamentals of injury assessment and treatment, such as checking vital signs, recognizing bloating and heat stroke, and responding to more serious trauma, such as tourniquet application. For medics, Bach discussed airway management, administration of intravenous access (IV), chest compression techniques, the use of splints and backboards to secure long bone fractures, and wound treatment. 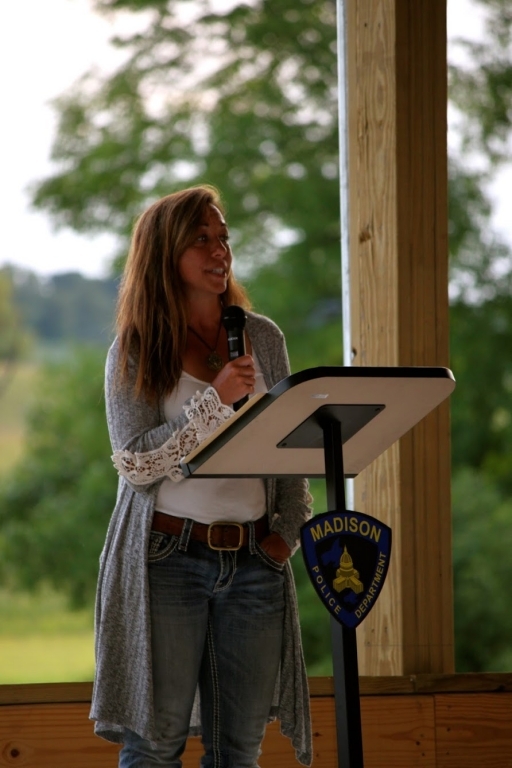 He also covered ways to prevent heat exhaustion, proper dosages of anesthetics and how to use Narcan to combat an overdose in the event a drug-sniffing dog is exposed to an opioid. “One of our K-9 Handlers, Officer Henry Wilson, holds badge #1. The significance of this is great. He was hired in 1984 and is now the most senior patrol officer at MPD. It is an honor that very few officers will ever achieve. No other officers will be assigned Badge #1 until Officer Wilson retires. I have been privileged to have worked along side Officer Wilson many years ago. 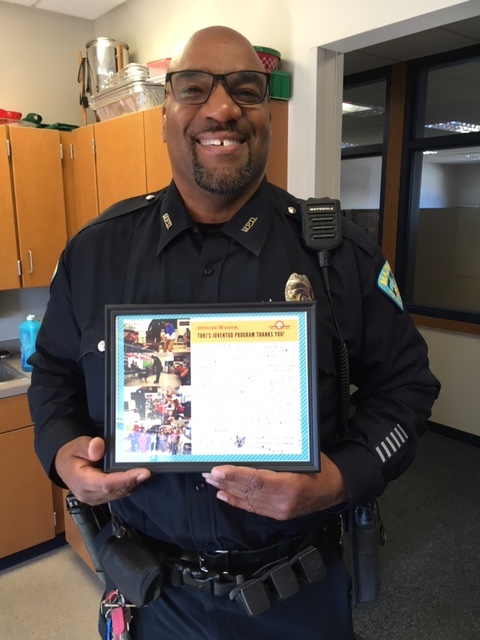 He is a very well respected police officer and we at MPD our proud to have him in our ranks. Officer Wilson, Capital K9s salutes you! It is with great sadness that Capital K9s informs you that K9 Greg passed away on Saturday, December 16, 2016. 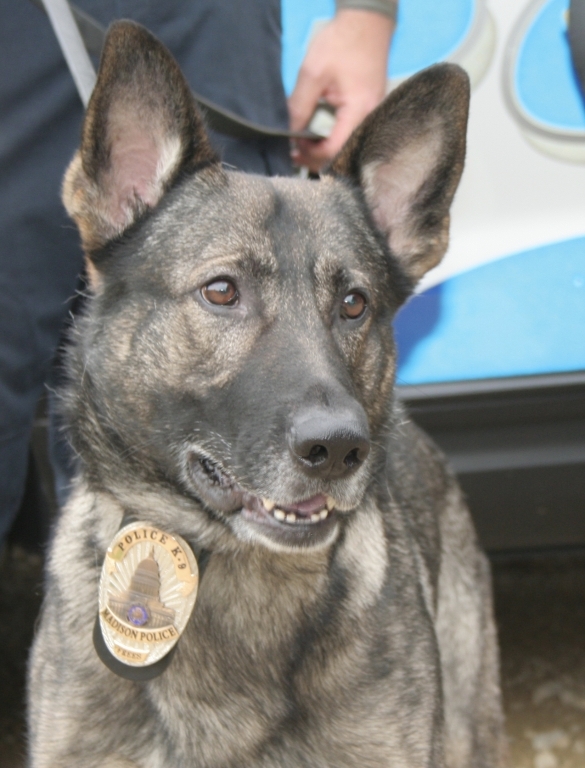 Officer O’Shea previously informed Capital K9s of K9 Greg’s deteriorating health. Madison Police Department’s original K9s. He and K9 Johnny were the first two dogs purchased by Capital K9s. K9 Greg and K9 Johnny were sponsored by the generous donations of WJJO FM (Mid-West Family Broadcasting) and were named after the well- known morning disc jockey duo of Johnny Danger & Greg Bair. In Officer O’Shea’s words: “K9 Greg had multiple apprehensions, with seven of those bite apprehensions. K9 Greg had a great personality, always ready to work, but equally willing to let 5-year- olds crawl all over him. 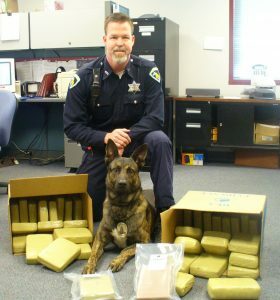 His career highlights were the multiple apprehensions and alerting to 41 kilograms of cocaine in the attic of a search warrant target. 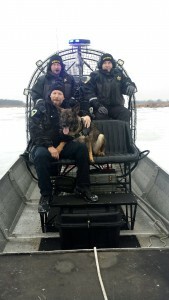 It was a delight to be his handler and K9 Greg was definitely the smarter end of the leash”. Your financial support of Capital K9s makes this possible! “Officer Henry Wilson and K9 Boris had two significant calls for service recently that help demonstrate our police dog’s incredible capabilities. Officer Wilson and Boris tracked and located an armed robbery suspect and later located key evidence in another incident. On November 21, 2016, a suspect committed an armed robbery with a handgun. The suspect initially fled from the scene. Officer Jim Donnell and K9 Krahnie responded to this first incident. They tracked from the location of the robbery to a nearby parking lot. K9 Krahnie indicated the track ended in the parking lot, a trained alert we refer to as a “vehicle pickup” meaning the scent ends and the suspect likely got into a car and left the area. The investigation continued and led to a vehicle description the suspect used during the robbery. Later that day, the suspect’s car was spotted. Officers attempted to stop the vehicle which fled from officers once the stop was initiated. A short vehicle pursuit ensued which ended with the suspect vehicle stopping and the suspect fleeing from his car. Officer Wilson and K9 Boris were dispatched to track this suspect. There are not many more dangerous situations for officers to undertake– such as tracking a known, armed suspect. Our K9s are trained to track a specific scent. K9 officers can obtain the scent of the person we’re tracking through many means (clothing they’ve worn, objects they’ve touched, and so on). In this case, Officer Wilson used the driver’s seat of the suspect’s car. Once Boris was given the suspect’s scent, he immediately began tracking from the car across the street and up to a fence along the backyard of a residence. It was later determined that the suspect jumped the fence at that location. Officer Wilson and Boris worked around the fence and Boris began tracking the suspect again through some yards. 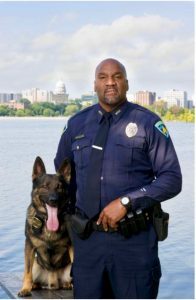 As they tracked past a house, Boris raised his head up (a behavior we oftentime see when the dogs are close to the subject they’re tracking) and began pulling Officer Wilson and his backup officers to the back of the residence. It was dark outside and there was no illumination in the backyard. Officer Wilson could see an elevated porch, but did not see the suspect. Backup officers illuminated the area and could see a pile of leaves under the porch. Moments later, the suspect’s hands emerged from under the pile of leaves as Boris was “announcing” his presence. The suspect surrendered peacefully to officers on scene. The dog located a suspect who was in a position to potentially ambush officers and likely played a significant role in the suspect surrendering without further violence. On November 23, 2016, Officer Wilson and K9 Boris were dispatched to assist officers looking for evidence. A suspect had crashed his vehicle and fled from the scene. He was located by officers a short time later, smelled strongly of marijuana, but had nothing on his person. K9 Boris was summoned to sniff for marijuana (or any other contraband) that may have been discarded by the suspect as he fled from his car. Boris sniffed the area, and likely path, the suspect took from his car to the point he was apprehended. Inside the fenced yard the suspect found. Boris began to work intently near an area where the backyard deck and fence line met. Officer Wilson watched as Boris alerted (laid down) at that location. Officer Wilson walked over to see what Boris had located. He observed a plastic bag with several smaller baggies of, what turned out to be marijuana inside. This evidence would likely not have been located without K9 Boris. K9 Johnny was one of the originals. Hitting the streets in 2005 as a member of the Madison Police Department’s first-ever K9 Unit, he served a long and heroic career protecting the Capital City until his retirement in February 2015. On July 1, 2016, he passed away at the age of 13. 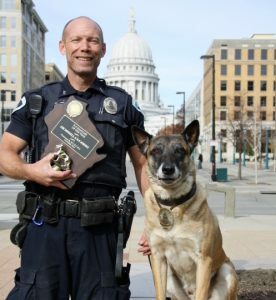 This #GivingTuesday, November 29, Capital K9s launches a Memorial Fund to say “thank you” to K9 Johnny and all of Madison’s canine guardians who have reached their End of Watch. With funding through the Capital K9s Memorial Fund, our local heroes will be given an honorable burial with engraved headstone at Westport Pet Memorial in Waunakee, WI. The average memorial for each K9 costs approximately $1,100. 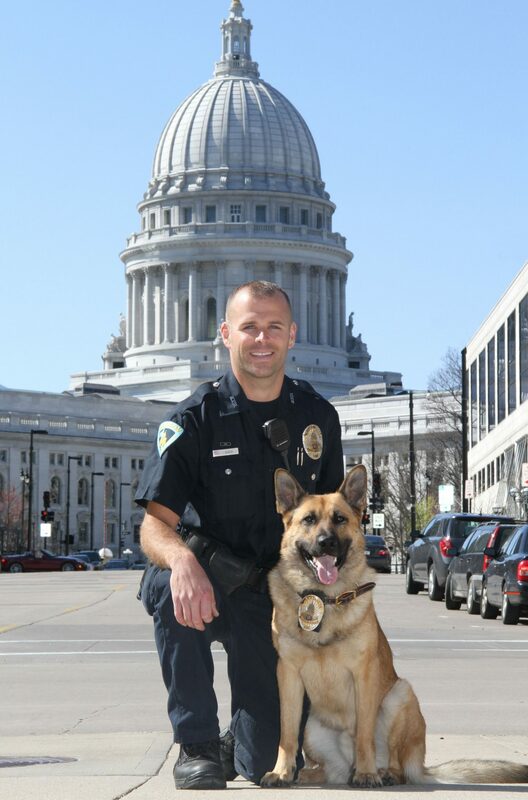 With ongoing financial support, Capital K9s will honor each of Madison’s police dogs for years to come. 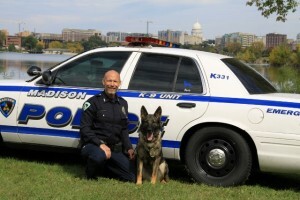 The Madison Police Department’s K9 Unit is currently comprised of nine working dogs. Their training, equipment, and veterinary care are provided by Capital K9s, which relies solely on donations to fund these initiatives. Be a part of the community that’s giving back to the loyal guardians who dedicated their lives to making our neighborhoods safer. Contribute to the Capital K9s Memorial Fund this #GivingTuesday, and tell your friends to do the same! 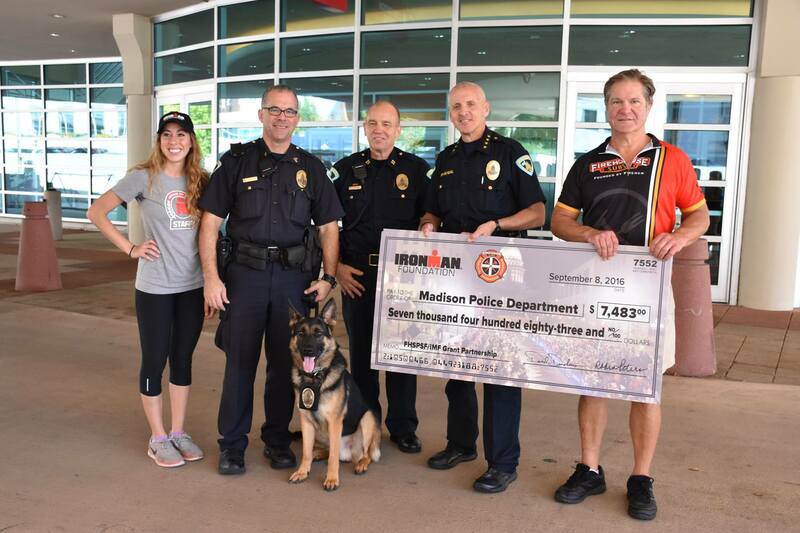 The Madison Police Department (MPD) recently received a grant from the IRONMAN Foundation and the Firehouse Subs Public Safety Foundation which will be put to good use in the K9 unit! This generous gift totaling $7,483 helps ensure MPD’s first and only explosive detection dog, K9 Carl, will be better protected with brand new equipment. We thank the foundations for their support and their commitment to building safer communities! 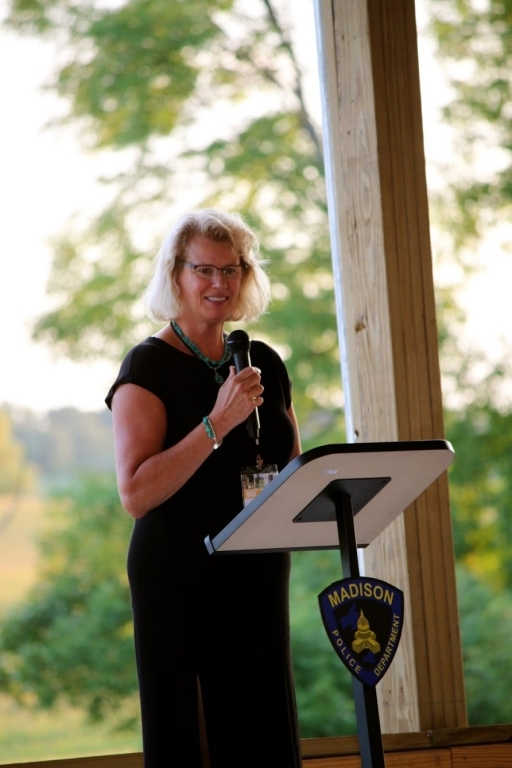 Capital K9s and Madison Mounted sincerely thank Dr. Stacey Bean for graciously hosting a fundraising event at Indigo Trail Farms. 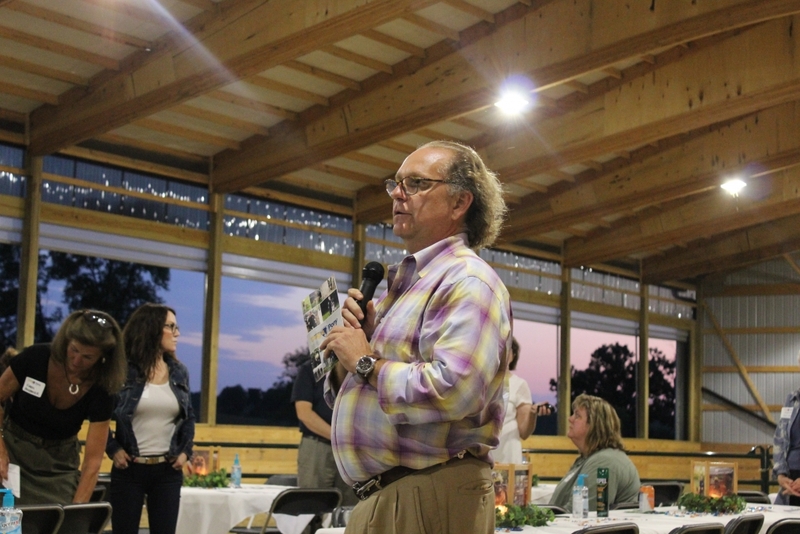 In addition, The Carlson Company, Soils & Engineering Services, Inc., David E. Zanger, Sous Chef UW Health, Karben4, and Becker505 made this event possible. 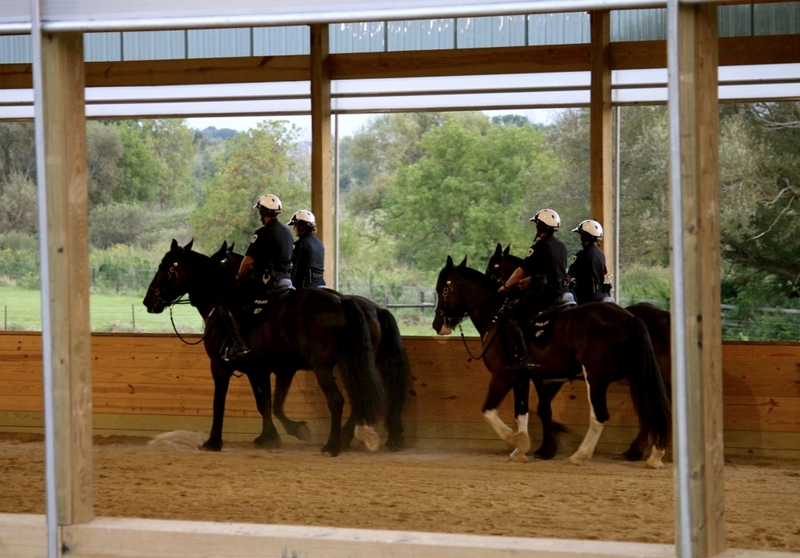 Those attending were amazed by the K9 and Mounted demos and informed of the resources needed to maintain these units of the Madison Police Department. As Police Chief Michael Koval emphasized, funds raised at this event will benefit the community in a myriad of ways. Here are photos memorializing this event. On July 15th, at approximately 10:22 pm, Madison police officers attempted to stop a vehicle for a traffic violation. The car was slow to pull over. When it finally did stop the front seat passenger fled immediately from the traffic stop. Officers immediately set up a perimeter around the area the suspect was seen fleeing. Officer Eric Disch and K9 Jagger were summoned to track the fleeing subject. Our police K9s are trained to scent discriminate. They’re trained to track a specific person by their scent. The dogs are presented an article that contains the scent we want them to track and they are trained to track that scent until it ends. In this case, Officer Disch did not have a scent article to track the suspect, but we can “create” scent articles using sterile gauge and placing them on objects the subject touched. In this instance, the front passenger seat where the person was sitting in prior to running was the perfect object. Once prepared, the scent article was presented to Jagger and he immediately began tracking the suspect. Jagger tracked along a sidewalk for a distance and then turned and began tracking up a grassy embankment with several trees and tall grass. Officer Disch observed Jagger’s behavior change as they were closing in on the subject. Based on this observation, Officer Disch gave a loud announcement letting anyone close to them(the suspect) know officers were there with a police K9. Upon hearing the announcment, the suspect, who had been concealed along a fence line in 6-7 foot grass, stood up and was compliantly taken into custody without incident. Why would a passenger run from a traffic stop? In this case, the suspect had a felony warrant and two other charges pending from an unrelated incident. This well-coordinated response by all of the officers involved led to this suspect being successfully located and arrested. Sad news from this weekend, as former MPD K9 Johnny has passed away. Johnny was one of the original dogs with whom MPD started the K9 Unit in 2005, where he served for 10 very successful years. Because of what Johnny was able to accomplish, from finding drugs to tracking burglars to locating missing and endangered people, MPD has been able to grow its K9 Unit to eight handlers working with nine dogs today. We thank K9 Johnny for everything he did for the department, and will keep his human family in our thoughts and prayers.